Well done to Louise, lettings manager of our Clevedon branch and her husband Adam, who completed the 10 mile Tough Mudder challenge on Sunday 19th August at Badminton Estate in Gloucestershire. They raised a total of £315 for one of Mayfair's main sponsored charities, Weston Hospicecare. 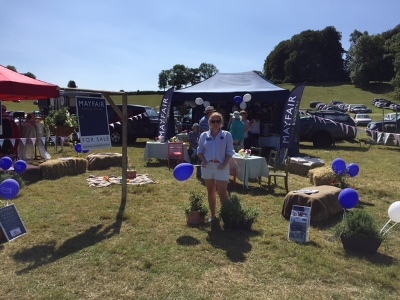 Harriet, Jeremy and the teams from Beaminster and Dorchester enjoyed a glorious day as sponsors of the annual Cattistock Countryside Show on Sunday 5th August. As always there was lots to see and do – handmade arts and crafts, local food and drink, traditional country craft demonstrations, working dogs, horse showing and more. Mayfair couldn’t resist forging a team to take part in the Tug of War and Car Musical Chairs events, whilst Harriet was invited to sample the local fare at the sponsor’s lunch. Mayfair Town & Country is pleased to announce that Anna Tucker has been promoted to company Head of Compliance and Training Co-ordinator. Anna fills the role having worked for Mayfair Town & Country and the Property Group for 7 years, previously working in-branch as part of the Lettings customer-facing team, and more recently as PA to their Operations Director, David Powell. Prior to joining the company in 2011, Anna had spent 15 years working in the property letting and management industry in managerial roles. On Sunday 3rd June the Simon Williams Mayfair team will be taking part in the Weston Hospicecare Mendip Challenge, raising money for charity. 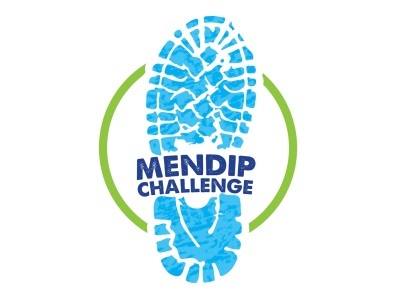 Sales Manager Steve, Grace and Lettings Manager Louise will be tackling the demanding 10-mile route, which will take them across the West Mendip Way and Somerset hills from Winscombe to the finishing line in Uphill. They are raising money for Weston Hospicecare, the event host and the estate agency’s sponsored charity. 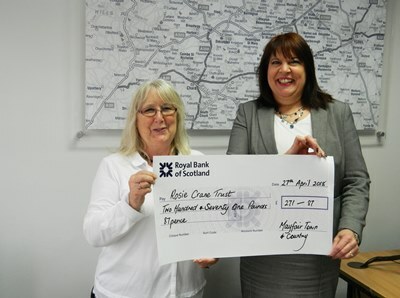 On Friday 30th April Sales Manager Sara Nicholls presented a cheque to The Rosie Crane Trust, after raising money at the Mayfair Ilminster charity Coffee and Cake Morning held in late February. The team baked cakes, brewed tea and coffee and hosted a raffle full of prizes from local businesses, in return for donations. The event raised £271.87 for the charity. 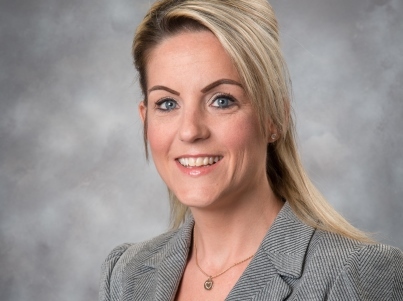 Sara Nicholls, Sales Manager at Mayfair Town & Country Ilminster, said: “‘I am really proud to back such a great cause that provides support to so many in our community”. Mayfair Town & Country is regularly involved with The Rosie Crane Trust, hosting fundraising events throughout the year.